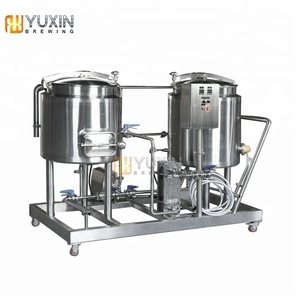 Home Brew System from YUXIN is a movable and portable cart so that the whole brewing process can be done by only one person. 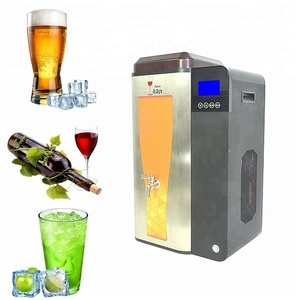 Beside it allows the average person to easily brew fresh beer at home-up to 50 liters per brew. They make us who we are today and we continue to live and work by them. 7.Warranty:Main machine 3 years' warranty, auxiliary equipment one year's warranty, all life service. 3.If you need to inspect our factory, we can book the hotel and make the invitation letter for you. 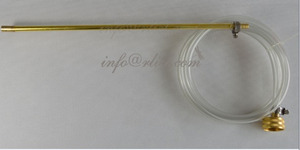 2.If there is any parts damaged, we are surely can send the part to you in 24 hours. 6. 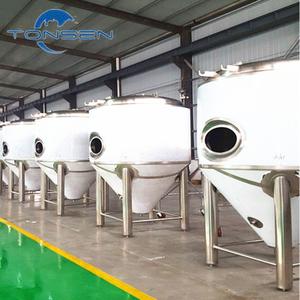 Polishing treatment: inner tank mirror polished, outer shell can be either mirror polished or matt polished. 2. Mounted on iron stand if product is too tall and have to lay down for loading. Our company strives to improve our range of products to ensure that we remain competitive and customer focused. 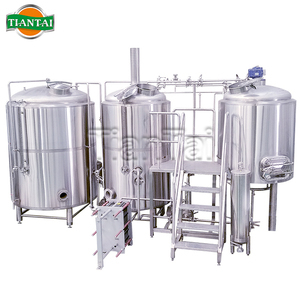 200L home brewing equipment/beer making machine/beer fermentation tanks Specifications 1. 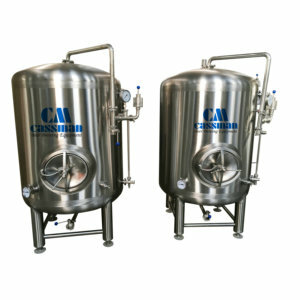 Two or three vessels brewhouse: mash/lauter tank, kettle/whirlpool tank mash/brew kettle, lautering tun/whirlpool 2. Steam or electric heating, 3. Six fermenters 4. CIP Cleaning system 5. Cooling compressor and glycol tank 6. 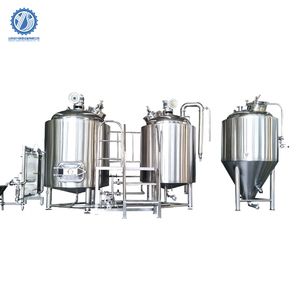 PLC/semi-auto controlling system, seperate control for each fermenters Here follows is the parameter of 200l brewery, please check for reference. Items Equipment Specification Quantity Malt miller Malt miller 200kg/hour 1 Brewhouse system Mash tun&lautering tun 200L 1 Brew kettle&whirlpool 200L 1 Hot liquid tank 200L 1 Wort oxygenator 1 Plate heat exchanger 2m&sup2; 1 Pump 3m &sup3; /h 2 Working platform 1 Fermentation system Fermenter 300L 6 Yeast adding tank 10L 1 Cooling system Glycol water tank 500L 1 Cooling compressor 3hp 2 Pump 3m &sup3; /h 1 Filter system Kieselguhr filter machine 1 Brite beer tank 1 CIP washing system Alkali tank 30L 1 Sterilization tank 30L 1 Pump 3m &sup3; /h 1 Control system Digital display controlling system 1 Spare parts All spare parts Heating source: electricity, gas fired heating or steam Material: stainless steel 304 or copper Warranty period: 36 months for main equipment Brewhouse system: 1) Inner wall SUS 304, 3mm; surface wall 1.5mm stainless steel 304 or copper 2) inside polishing 0.4-0.6 micron 3) dome top, side and top manway 4) insulation: polyurethane/rockwool 100mm; with inside washing ball, agitator, false bottom 5) Tangential inlet for whirlpool Thermowell for temperature sensor and thermometer. 6) butterfly valves, clamps and gaskets Fermentation system: 1) Inner wall SUS 304, 3mm; surface wall 1.5mm stainless steel 304 2) Dome top, conical bottom, top/side manway 3) Insulation: polyurethane 100mm 4) Glycol cooling jackets on both cylinder and cone, SUS304 1.5mm 5) Inside 360 degree CIP washing ball; Inside polishing 0.4-0.6 micron automatic pressure relief 6) with thermowell and pressure sensor&gauge safety&vacuum valve sample valve 3 legs with adjustable bolts Spare Parts Pipe line for brewhouse SUS304 Measuring cylinder SUS304 Butterfly valve &Oslash;32 Butterfly valve &Oslash;38 Sight glass &Oslash;32 Saccharimeter 0-10; 10-20 Spent grains harrow SUS 304 Fermenter&rsquo;s safety valve &oslash;32 Fermenter&rsquo;s Sample valve &oslash;32 Pressure gauge 0-0.6Mpa Pipe line for cooling unit SUS 304 Cooling water solenoid valve &oslash;32 Cooling pipe insulation Expansion valve for cooling compressor Control box cable Signal wire SIEMENS frequency convertor V20 Electric relay Omron Temperature sensor PT100 Packaging & Shipping FCL: Standard Export Package suitable for long marine transport LCL: Ply wood case Package for long marine transport Shipping Time: Full sets of system needs around 35 days once order confrim Fermenter tanks needs around 15-20 days according to order quantity Our Service Considerate servise We can provide services such as product design ( we recommend suitable equipment as per your budget), beer tank layout, installation and training of beer fermentation. 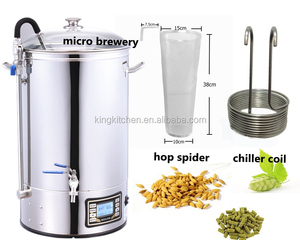 Alibaba.com offers 4,388 make home brew beer products. About 78% of these are fermenting equipment, 1% are beer. A wide variety of make home brew beer options are available to you, such as alcohol, carbonated beverage. You can also choose from lager, bar accessories, and buckets, coolers & holders. As well as from free samples, paid samples. 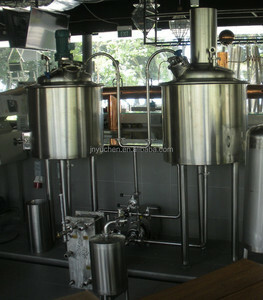 There are 4,308 make home brew beer suppliers, mainly located in Asia. The top supplying country is China (Mainland), which supply 100% of make home brew beer respectively. 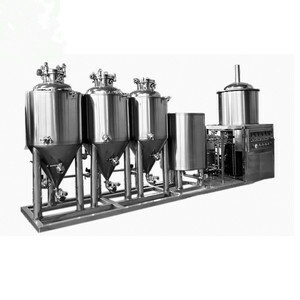 Make home brew beer products are most popular in North America, Domestic Market, and Western Europe. You can ensure product safety by selecting from certified suppliers, including 2,355 with ISO9001, 929 with OHSAS18001, and 710 with Other certification.